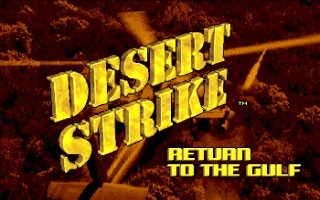 Desert Strike: Return to the Gulf is an action-shooter helicopter game created by Electronic Arts and released in 1992 for the Mega Drive, Genesis, SNES and ported to Amiga in 1993. 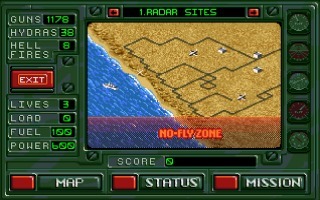 It's the first title in the "Strike" series created by EA, which also includes Jungle Strike and Urban Strike. 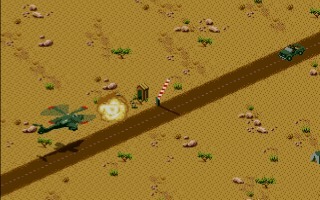 As you can imagine, Desert Strike is heavily influenced by the 1990 Gulf War. 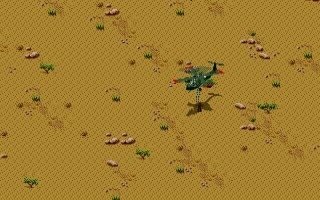 In the game, there is a new war in the Middle East, declared from a mad dictator on the U.S. You have to control an Apache helicopter during four long missions, trying to rescue hostages and destroy enemy bases and weapons. 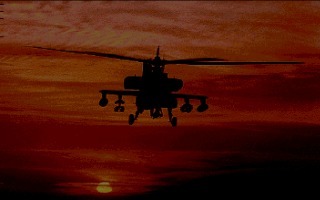 The designer, Mike Posehn, puts a lot of attention to the movement of the helicopter. 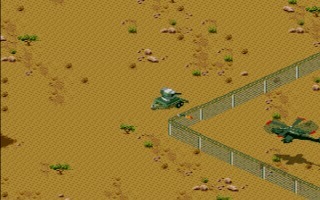 The game uses an isometric view, but realistic 3D models were used to create the sprites of the vehicle. The physics of the movement is also very elaborate, with a dynamic camera system that travels on an elliptic curve to improve the field of view. Posehn worked several months on the movement of the screen to make it perfect. 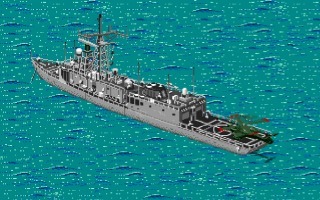 With nonlinear gameplay, side mission, cutscenes, great graphics and animation, Desert Strike is a very modern and advanced game. 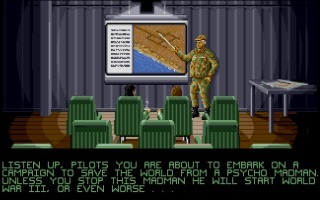 It's not a surprise that it was a commercial success and one of the top games for the Mega Drive. 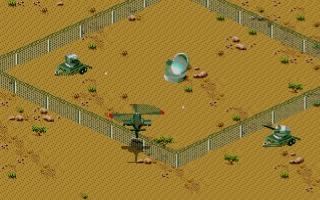 Gary Roberts and David Colclough worked on the Amiga version, increasing the quality of an already great game. They improved the graphics, using the Extra Half Brite mode to create shadows and bring the game to 64 colors (instead of 32). 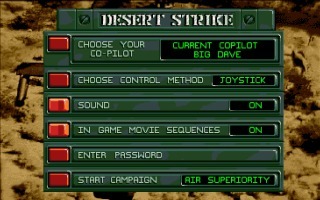 They also added sampled sound effects and extra music and cutscenes, making Desert Strike one of the best games ever created for the Amiga.